Green Party figures from the five boroughs that meet at Crystal Palace – Bromley, Lewisham, Southwark, Lambeth and Croydon – have united to oppose what they have called the “privatisation” of the Grade II-listed public park in a promised £500 million scheme by a Chinese developer. The Greens have raised questions about how the scheme is to be financed – the developers have been linked with the export of “blood diamonds” from war zones in Africa – and they have also accused the ZhongRong Group of deliberately withholding their true intentions and purpose for the site in order to mislead the public. Last week, Inside Croydon revealed how the developers’ consultants were trying to claim that despite the massive potential value of their investment, they had no real idea what they intended to do with the site. 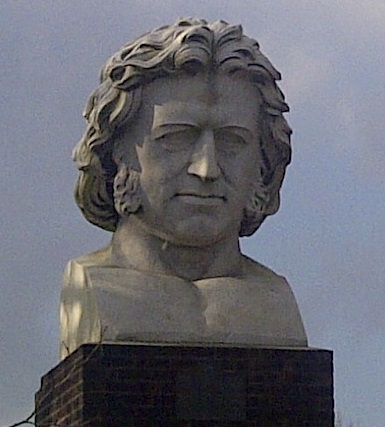 The designer of the original Crystal Palace, Joseph Paxton. What does the future hold for the former site of his masterwork? “We’re opposed to this huge commercial development which would damage the park and local businesses, and make congestion and air pollution worse. We will campaign for a community-led and community-owned future for the park, enhancing its value for leisure, culture, sport and as a natural habitat,” one of the Greens’ local election candidates in Bromley’s Crystal Palace ward, Tom Chance, said. Last year, Mayor of London Boris Johnson announced that he was handing over the prestigious site of the former Crystal Palace to a Chinese businessman apparently to build a £500 million replica of Joseph Paxton’s Great Exhibition building, that had been destroyed by fire in 1936. Chance and other local Green Party members met with Darren Johnson, the London Assembly Member, and representatives from park, residents, business, heritage, culture and environment groups. “We have heard from a lot of people who were open-minded when this project was announced, even excited at the thought of a replica palace or a major new cultural attraction,” Chance said. “But no representative who spoke at our meeting supports this development any more. “It’s now clear that the developer is trying to mislead the public with talk of rebuilding the Crystal Palace as a philanthropic gesture. It seems he wants to impose his vision on the community, to privatise and control a large part of the park in his own commercial interests with the support of Bromley Council and the Mayor of London. We believe any development in Crystal Palace Park must enhance its use as a park – for leisure, culture, sport and as a natural habitat – and be non-commercial, recycling any profits back into the upkeep of the park. The park should be improved incrementally, with sensitivity and led by the local community. We support establishing a Community Land Trust, owned and controlled by local people from the five boroughs, which could then take ownership of the park and lead on proposals for the future of the park and the wider area. The Trust could build on the current masterplan for the park and work with the Greater London Authority and local councils to explore the potential for wider regeneration of the Crystal Palace area. This could explore whether there is potential for a large hotel and conference centre in the area, and any proposals could then be competitively tendered. It could also take forward ideas endorsed by the community in the park masterplan to build a better museum, and a botanical garden or butterfly garden on the hill top. Scale and loss of green space – building a large hotel, conference centre and boutiques will inevitably take up a large part of the park and be too big for the area. When the original Crystal Palace was moved here the area was semi-rural and surrounded by green space. Today the park is surrounded by housing, so such a large loss of Grade II* heritage Metropolitan Open Land and Conservation Area to build a largely commercial development is unacceptable. Local economy – it is likely that business rates and rents would rise substantially, chain stores would move into the area, and businesses would change their focus to serve tourists rather than residents, all of which would fundamentally change the character of this thriving centre of independent local businesses. Profits would return to overseas investors, rather than circulating in the local economy. There are brownfield sites in the area that could be developed in a more appropriate way to create more local jobs and businesses, and better ways to create a genuine cultural centre for the area. Traffic and pollution – roads in the area are already congested and experience levels of air pollution that break legal health limits. This kind of development would inevitably draw in more road traffic, including lorries, and may further add to crowding on train services as tourists staying at the hotel travel into central London. Biodiversity – this has largely been ignored by the developers, but the hill top hosts valuable habitats including hedgerows, scrub, wildflowers and woodland which are home to bats, insects, at least 27 species of local birds and nine species of migratory birds. The proposed building would almost certainly involve the loss of or damage to most of these habitats. Process – the proposal came about through a backroom deal between the developers, the GLA and Bromley Council, without a competitive tendering process. 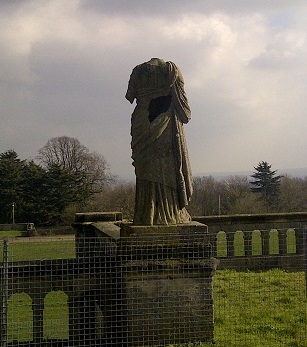 It disrupted the community-led, £7.5 million plans to improve parts of the park, and has put many other community initiatives on hold. Bromley Council and the GLA have supported the plans before any work has been done on the likely impact, and without considering alternatives. The consultation process to date has been poor, the developers have not been transparent about their aims or intentions, nor the source of finance (which isn’t philanthropic) and it is clear that they aren’t willing to follow what the community wants – in the last masterplan exercise, it was clear that local people don’t want a large-scale commercial development, and would prefer the masterplan proposal of a small cultural, heritage or botanical facility on the hilltop to complement the open space and wildlife. Privatisation of land – selling such a large area of public parkland on a 125-year lease is unacceptable, and Bromley Council has rejected the Green Party suggestion that the land be put into a Community Land Trust and then leased to the developer, which would be the only way to protect the interests of the wider community. Inappropriate use – it is inconceivable that the developer wouldn’t have a firm idea of the building’s use at this stage in order to work out whether the project is viable, so we believe he has withheld this information from the public. Whatever the initial use of the building, the history of the original Crystal Palace and of more recent attractions like the Dome show that it will have to change over time to stay viable. We don’t think a large 6* hotel and conference centre is appropriate to begin with, and don’t trust Bromley Council to retain a genuine, publicly accessible cultural facility if the developer sought changes in future years to increase revenue and avoid a white elephant. This entry was posted in 2014 council elections, Boris Johnson, Bromley Council, Business, Community associations, Croydon Greens, Crystal Palace Community Association, Crystal Palace Park, Darren Johnson, Environment, London-wide issues, Mayor of London and tagged Boris Johnson, Bromley, Conservative, Croydon, Crystal Palace, Crystal Palace Park, GLA, Greater London Authority, Lambeth, London, London Assembly, Southwark. Bookmark the permalink. I am generally surprised and disappointed by this outburst from the Greens. It bears all the backward-looking and xenophobic hallmarks of UKIP.